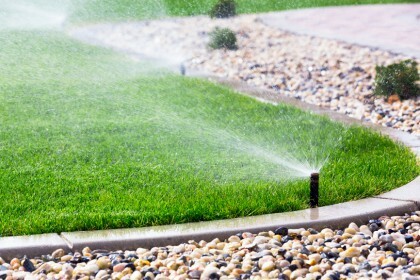 When in need of professional landscaping services and East Ingham County, MI irrigation services, just contact the experts at RainMaker Irrigation, LLC. We can make your home lovelier looking on the outside. There comes a time when your property outgrows you. Many properties have outgrown their owners in the Michigan area. We can help as we offer lots of valuable landscaping services that we are able to professionally manage. In order for the proper upkeep of your yard, it’s important to hire qualified landscapers. We have been around for over 13 years now and still growing everyday. We can restore the look of your yard in no time at all. The landscape experts that you’ll encounter at Rainmaker Irrigation are professionally trained to deliver quality and comfort throughout your home’s exterior. Call us today and by tomorrow you’ll have better control of your property. No matter if you’re a home or business owner anywhere within the county limits, we can help. We do repairs, installations, and maintenance. Call today and have your lawn taken care of by professionals. You know when it’s time to have landscaping services done to your property in Eastern Ingham County whenever your grass is high, your weeds are out of control, and your shrubs need a trimming. We can do all that and more. RainMaker Irrigation, LLC. Invites you and your family to take part in our local landscaping services. For a small fee, you can have the type pf manicured property that you’ve only imagined. We make these dreams come true through professional landscaping services. Our services are guaranteed. If you are not completely satisfied with them, we will come back and re-do your work. Our goal is to get your complete satisfaction and we will do that any way that we can in order for you to see the beauty in your yard. If you don’t have the time or patience to do your own landscaping, let us do it for you. We understand how frustrating that it can be and want to be there for you like we have been for others. Call to speak with an Eastern Ingham County irrigation expert today about the future of your property. If you are looking for irrigation experts in the Eastern Ingham County area please give us a call 734-564-1373 or complete our online form.